Founded in 2014 by Tom Sulzer and Christoph Schmid, Zurich-based Sulzer Schmid is at the forefront of innovation in the energy service sector. 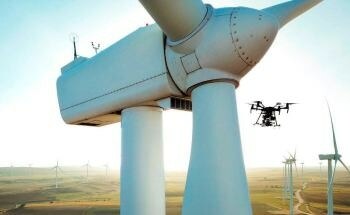 Recognizing the potential for unmanned aerial vehicle (UAV) technology to redefine industrial grade inspections, the two entrepreneurs have developed an end-to-end technology platform that produces high-quality inspection results with ease – precisely, repeatably, efficiently. They began developing their dedicated 3DX™ Inspection Platform in 2015 and deployed it for Sulzer Schmid’s first fully autonomous UAV flight in 2016. The company has conducted rotor blade inspections throughout Europe, each underpinned by a commitment to the highest quality, efficiency, safety and groundbreaking use of technology.